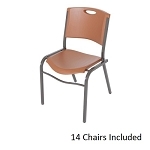 These chairs also come in 14 packs with a volume discount. Click here to view them. 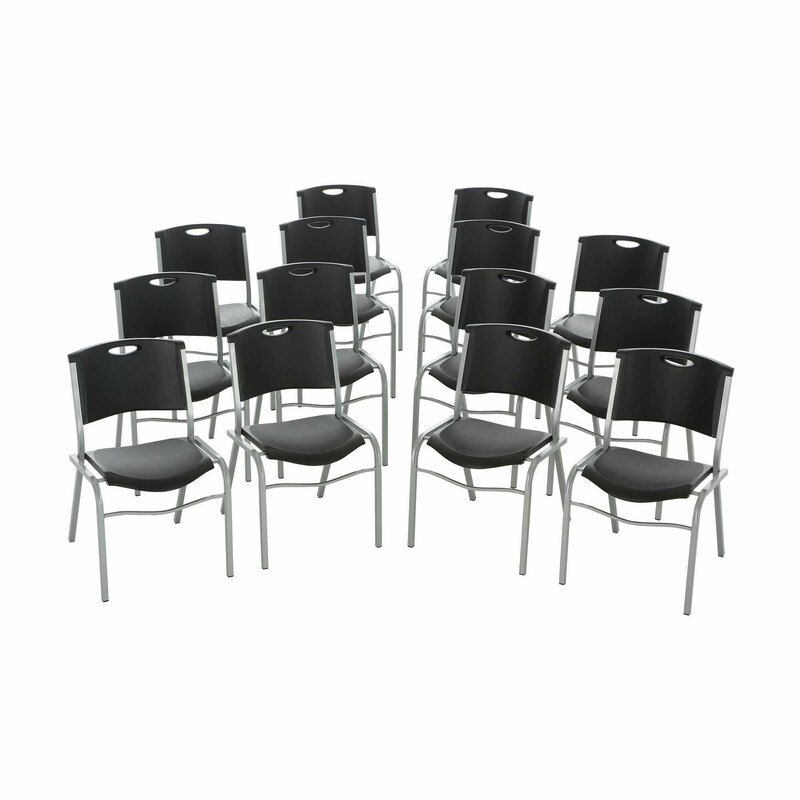 Set up your banquet hall in style with these stacking chairs from Lifetime Products. With a 350-lb. 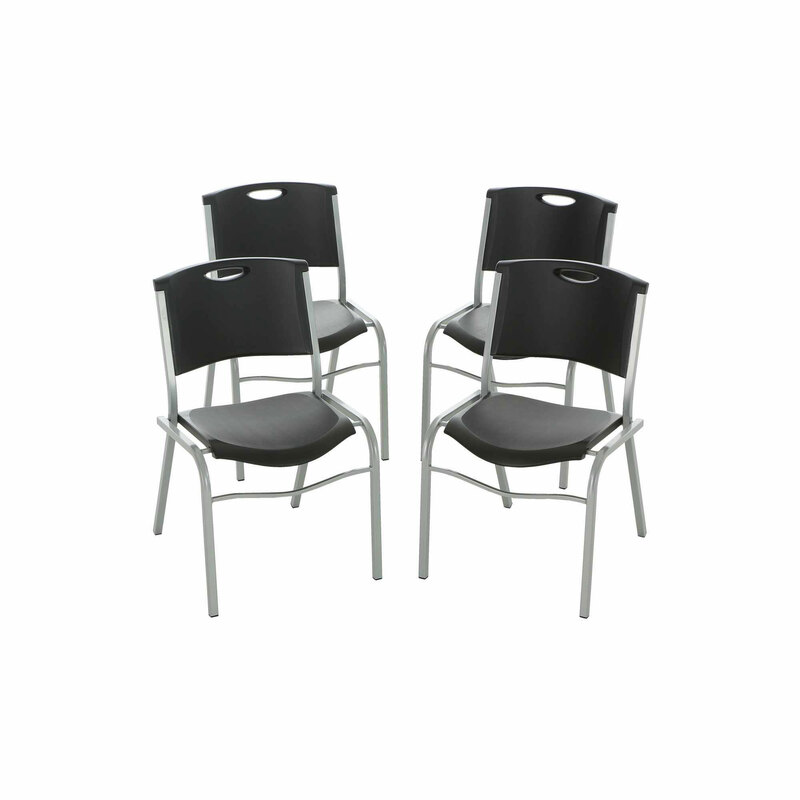 weight capacity, these chairs are well-suited for heavy-duty use. 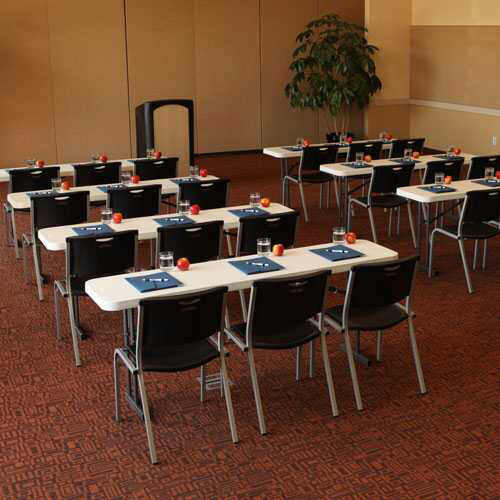 These chairs can be used for both indoor and outdoor applications. 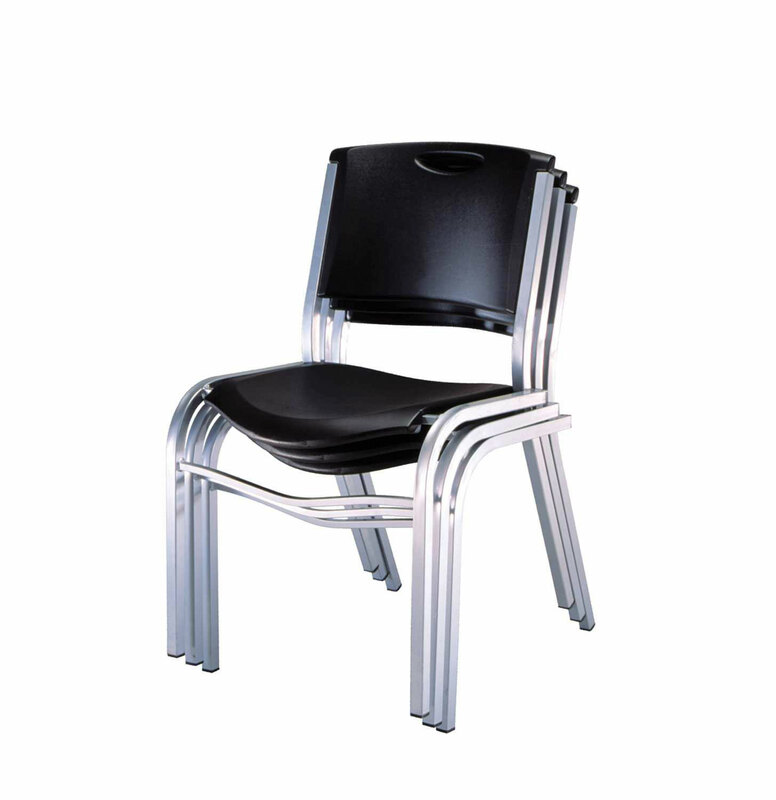 The back and seat are made with high-density polyethylene (HDPE) plastic, which is UV resistant. The steel frame is powder coated to help the metal resist rusting. 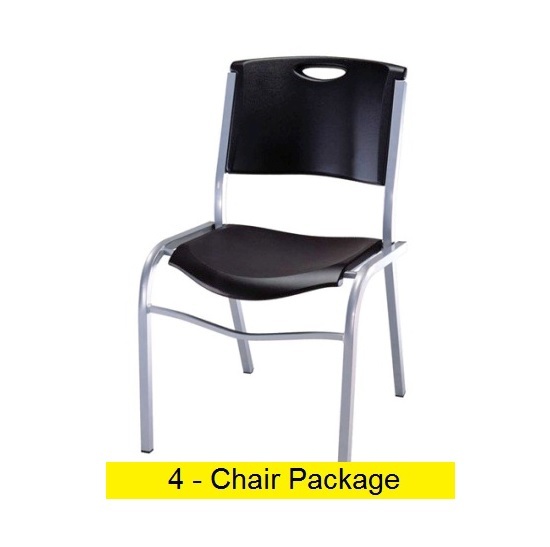 Save money per chair ordering them in 4 packs. Seat and back material of construction: HDPE plastic. Frame material of construction: powder coated steel. These chairs can be used indoors and outdoors. 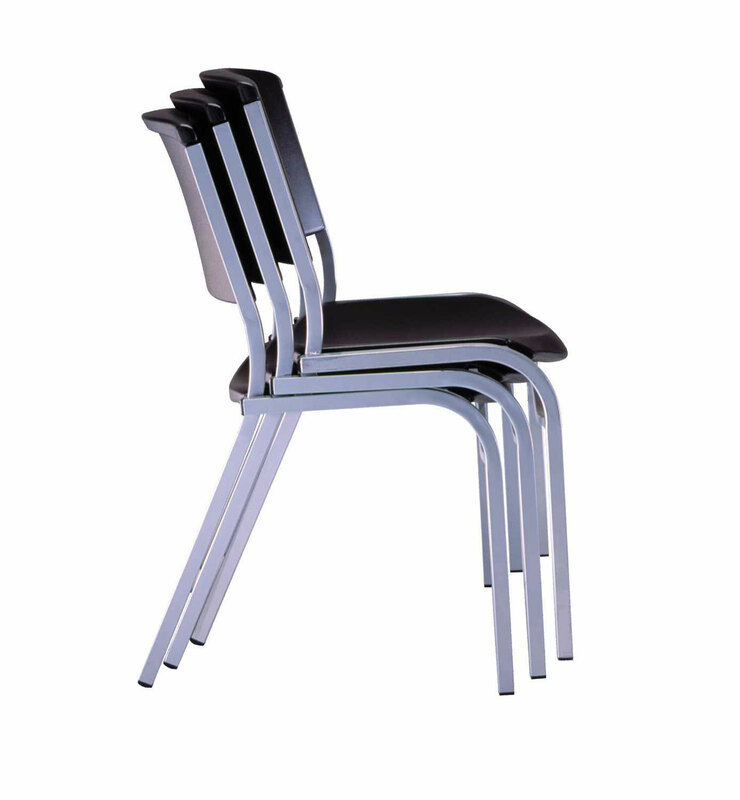 Each chair comes with a 10-year warranty for United States and Canada customers. Fast shipping. Orders generally leave the warehouse within 2 business days. Reviewed the 14 pack. These are very nice chairs. I was surprised at how sturdy they are. I even have some in my office. They looked very nice. The black color requires very little cleaning. Nice job! Reviewed the 14 pack. Great chairs, very durable. Comfortable, wear well. Only complaint is there is no real way to massive quantities at one time. There is not a rack/cart on the market to adequately hold the chairs. Pros:Comfortable,Easy To Setup,Attractive Design,Durable Construction,Stable Best Uses:Everyday Use, Office furniture Describe Yourself: Budget Shopper Primary use: Personal Bottom Line: Yes, I would recommend this to a friend. I have a desk job and I've traded in my cushioned swivel chair for a caramel brown stacking chair. It's so comfortable and such a beautiful color. I found that the traditional cushioned desk chairs were causing me to have lower back pains, but this stacking chair provides me with lower back support and helps me to maintain proper posture all day long. I picked this chair up at the Lifetime Store. Normally you have to get these in packs but at the store they had singles. I bought the black on to match our office furniture. The chair is sturdy, comfortable, and looks great. I wish you could buy these in a four pack instead of fourteen. This is the second time I've purchased these chairs for another business that I have these chairs work really well they stay very clean the good and sturdy and the people seem to like them. 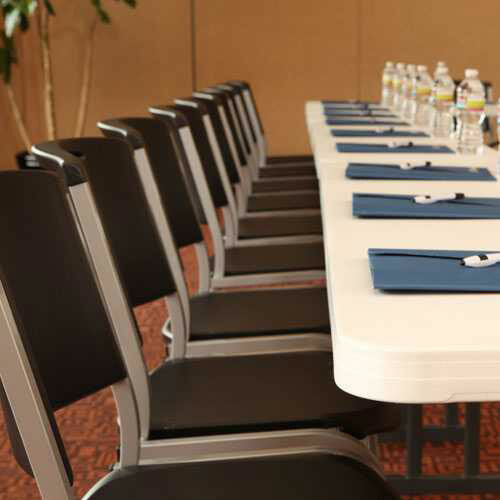 excellent shipping, nice durable chairs, very pleased with the looks of these chairs, durable made to last. Our church have had these since 2006 and still use them. Only the feet wear out because of so much use each week. They will hold up! Pros:Durable Construction,Comfortable,Attractive Design,Easy To Store,Stable,Easy To Setup Best Uses:Everyday Use Describe Yourself:Midrange Shopper Primary use:Business Bottom Line:Yes, I would recommend this to a friend. I use the chairs in our Bowling Center and they are great we have a high volume of people that use them. Very durable. Q: Can these chairs be cleaned easily? 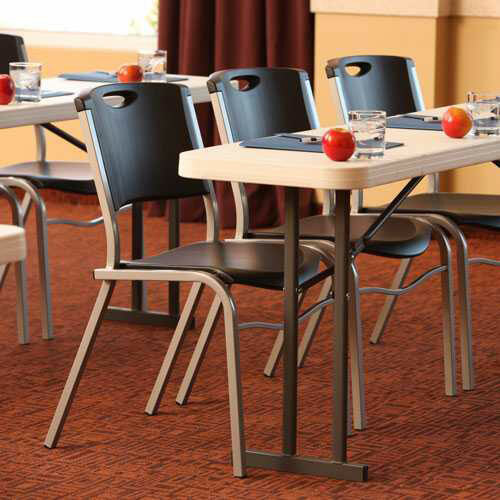 A: Yes, they are very smooth and can therefore be cleaned very easily - they don't stain so they are great for cafeteria, break room, and other eating environments. 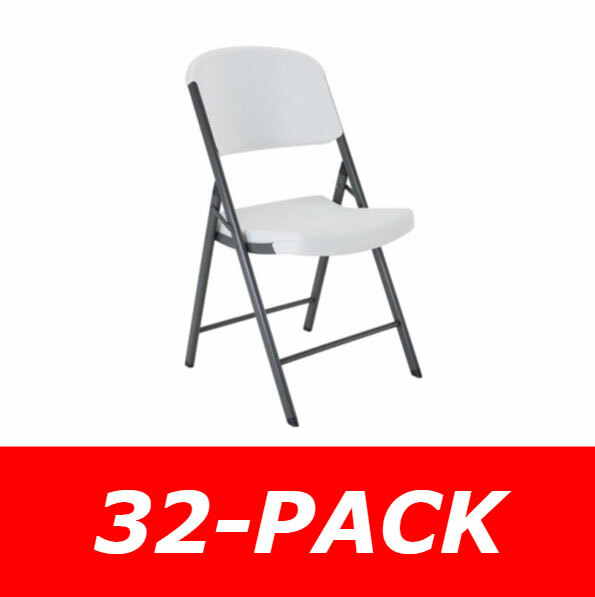 Fast Shipping: Orders for the 42830 Lifetime Stacking Chairs generally leave the warehouse the next business day. Delivery Details: This product ships directly from Lifetime Products in Clearfield, UT. Delivery of this product is via a curbside delivery through an LTL carrier (too big for UPS and FedEx). The customer must be present to sign for the order. The freight carrier is instructed to contact you prior to delivery to set up a delivery appointment. Dimensions: 37" x 27" x 21"